Featuring oversized basins, the Ophelia is a beautiful modern bathroom vanity. The unique basin shape is the focal point emphasizing the artistic design. 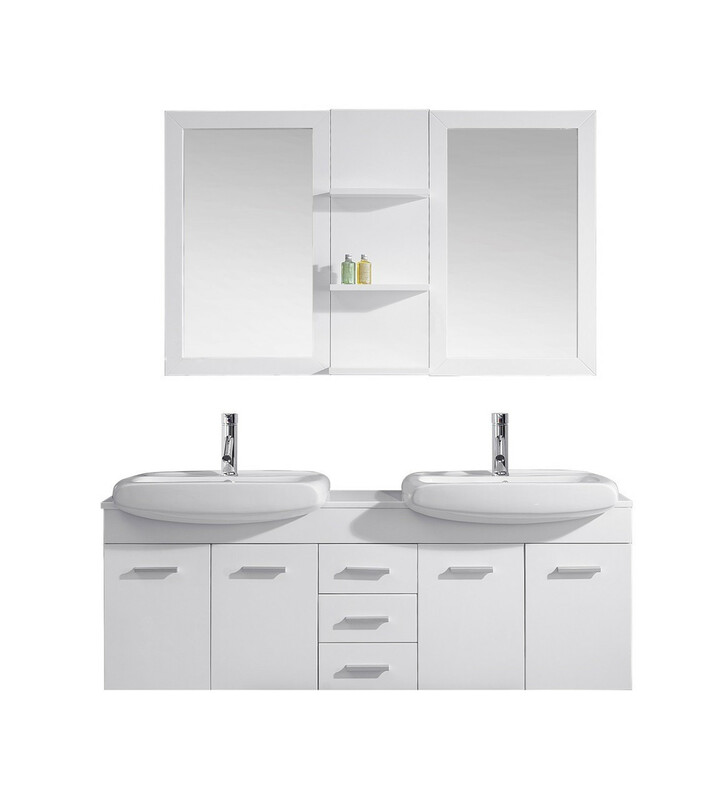 The vanity is constructed from eco-friendly solid rubberwood finished in your choice of espresso, grey, or white. The maintenance-free artificial stone countertop makes cleaning a breeze. Framed mirrors and shelves are great bonuses to this 59” vanity set. Last, but certainly not least, the Ophelia set includes lifetime warranty UPC certified faucets. The Ophelia is a marvelous choice for any bathroom design.